For better account security, follow these steps to set up two-step verification (2SV). If you haven't gotten the scoop on how 2SV works, read What is two-step verification? before you continue. Note: If you want to use a hardware security key (such as a Yubikey or Google Titan) for 2SV, follow the steps in Add a hardware security key for two-step verification instead. Under 2-Step Verification, click Add Verification. If you selected SMS text messages, enter your mobile phone number and click Continue. Enter the code we text you (it's good for the next 20 minutes), and then click Save. 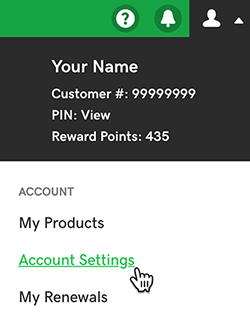 If you selected Authenticator App, follow the instructions to install an app, scan the bar code, and enter the authentication code. When you're done, select Continue. Click Add Backup and repeat Steps 6 through 8 to select a backup method for 2SV. Note: To minimize down time, set your backup 2SV on a different device. For example, if your main 2SV is SMS on your phone, set an authenticator app on your laptop as the backup.